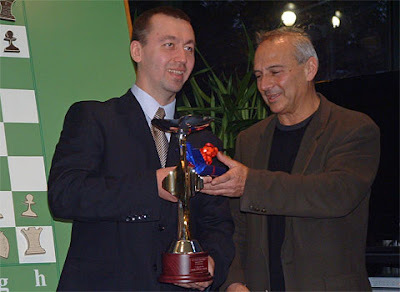 Almasi who had led until the eighth round, was forced to occupy the second position, after the defeat by Gata Kamsky in the 9th round (final round), who eventually became the champion in this tournament. Meanwhile, Fabiano Caruana confirmed to be the third after beating German Grandmaster Landa Konstantin. Of the 45 games played in Reggio Emilia 21 were drawn = 47%. White won 14 games (= 31%) and Black nine games (= 22%).